Last weekend the sun came out and so we decided to go for a wander around Chiswick. We don’t go south of the river too often as you can’t turn a corner without bumping into a double buggie, but we thought we’d risk it for a trip to The Italian Job. 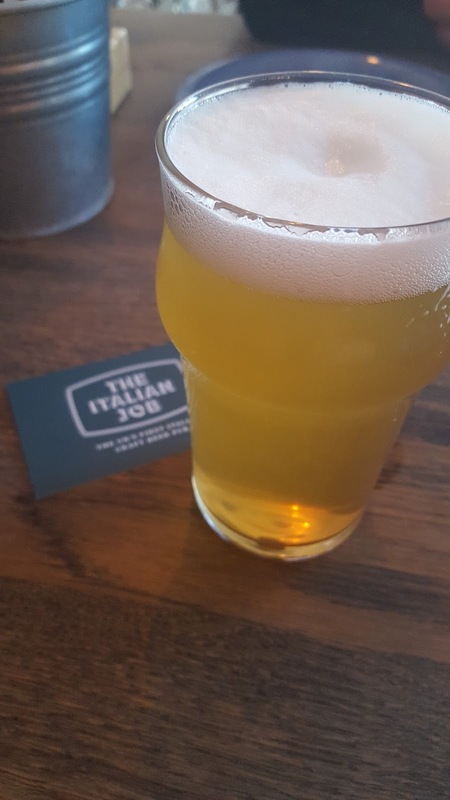 The Italian Job is the UK’s first Italian craft beer pub (I haven’t researched this, but it said it on the sign and that’s good enough for me) and, to be honest, I’m really late to this party. 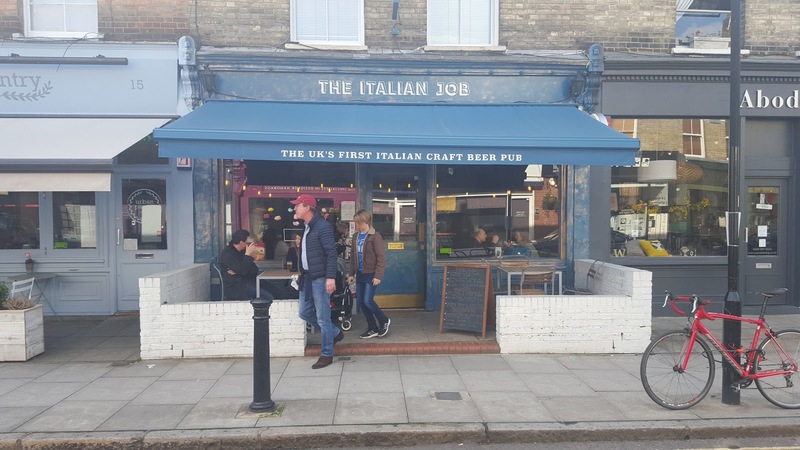 Since opening in February 2015 the business has gone from strength to strength; they’ve just raised £400k through crowdfunding to open another pub in East London, and their plans are to open 1 pub a year for the next 5 years. I’ve not been to Italy in some years. Actually, I went to Italy twice on rugby tour and I can assure you that Absolutely No Good Beer Was Imbibed On That Tour (although I do remember drinking an Italian spirit through a dead fish; ahh happy memories). ANYWAY, all that said, I was excited to drink some quality Italian craft. 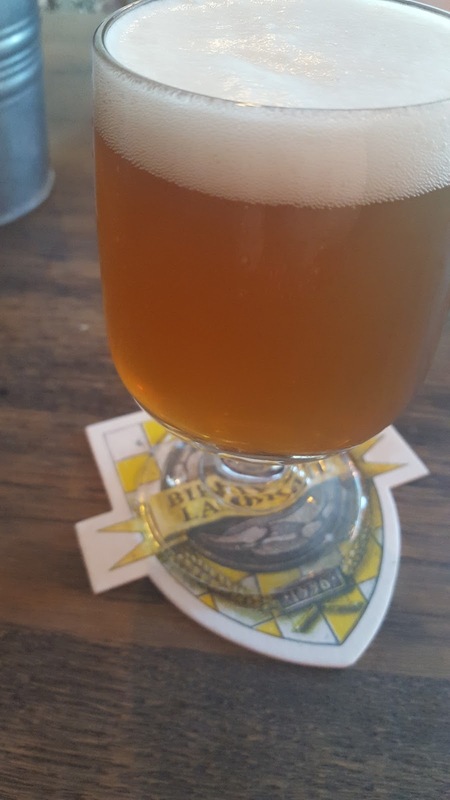 First up was Violent Femme (4.2%), a hoppy saison which was particularly herbal on the nose. The taste? Lemony, peppery and, according to my tasting notes, a frolic in the woods. Next up was Winterlude (8.8%), a Tripel. I possibly shouldn’t have started with this level of strength, but it was only a wee half and I’ve survived many a Belgian sesh. It was a great example of the style and was intensely honeyish; in fact, it was delightful. Tripels coming out of Italy, who’d have thought? 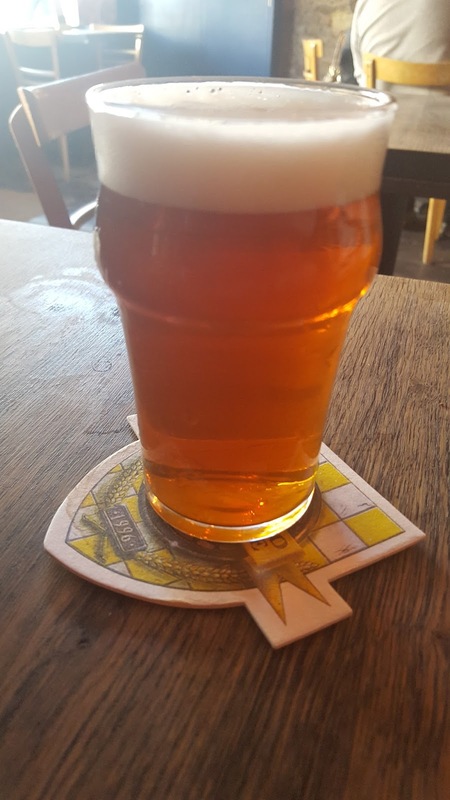 On the recommendation of the bar staff I went for Machete IPA (7.6%) and I’m so glad I did. Sour pineapple, sharp grapefruit and a sharp burst of non-lingering bitterness to finish. What a juicy banger. Perfect for a day when the sun was shining. 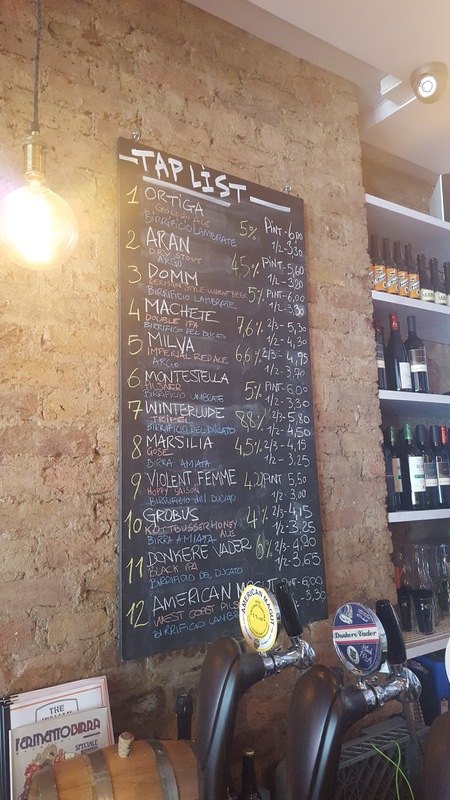 Other highlights were Donkere Vader (6%) a wonderfully dark, but crisp Black IPA, and Milva (6.6%) an excellent example of an imperial red ale. I should also mention the food there, which was absolutely delicious and I would recommend it for that alone even if you are with non beer drinking company. By the way, please get in touch with your puns. I was trying to think of an amazing title for this post, but all I could come up with was ‘we’re going to need a bigger glass…’ and it took me until I’d finished to realise that was from Jaws, not The Italian Job.